Ingredients: Scotch bonnet chillies, red bell peppers, vinegar, sugar, garlic powder, salt. 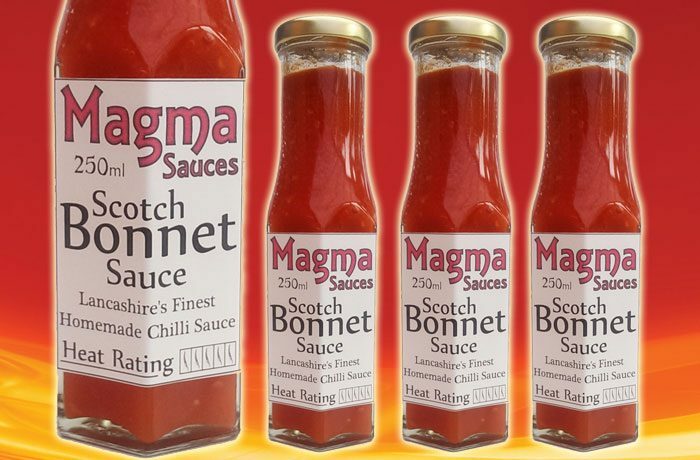 Description: An extremely spicy sauce made with the finest quality red hot scotch bonnet chillies. Perfect for adding spice and that distinct scotch bonnet flavour to your food.